With video marketing becoming more popular every day, there are a lot of different companies out there that are now offering some type of video marketing based product. 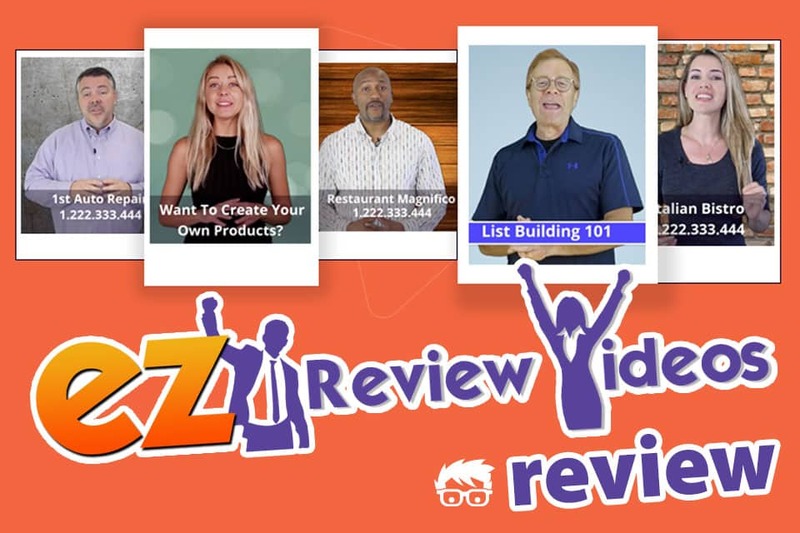 In this EZ Review Videos review, I’ll be taking a look at one such product that has recently hit the market and claims to allow you to create quality review videos that will help to sell your products better by using live actors to introduce and add credibility for them. The sales pitch for this product was quite promising, and honestly, I was a bit hopeful. As soon as I made my original purchase, I quickly realized that it was simply going to be another one of those products that is designed to be alluring on the front-end, but is there to try to really get you to spend hundreds of dollars in upsells for upgrades and related products. Sadly, this is becoming more and more of a trend when it comes to selling courses and products related to online marketing. With that said, let’s take a look at what some of the offers looked like in this sales funnel. The first one time offer that I was given was, basically for licensing rights to be able to sell video clips to local businesses as commercials with assistance from cbl-ly.com. 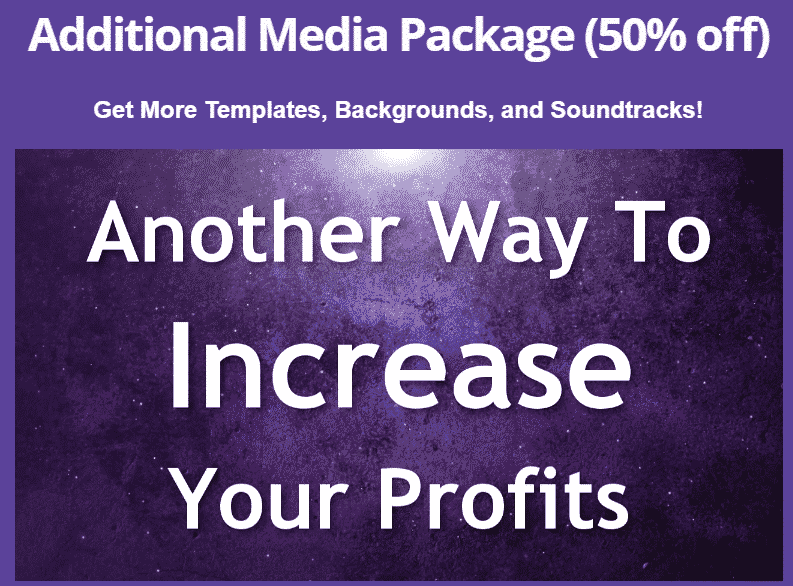 For an additional $47, you can pick up eight commercials along with a pre-done website. While this does sound great in theory, the problem with this upsell is the fact that while you do have access to pre-done commercials, you can’t really change what the individual actors are saying in the message. Normally when you’re selling video marketing to local clients, they want to deliver their own message, not something that is cookie-cutter and out-of-the-box. For some people, selling pre-done marketing videos may be a great option, but I personally found that most companies want to be able to create their own video messages and advertisements. 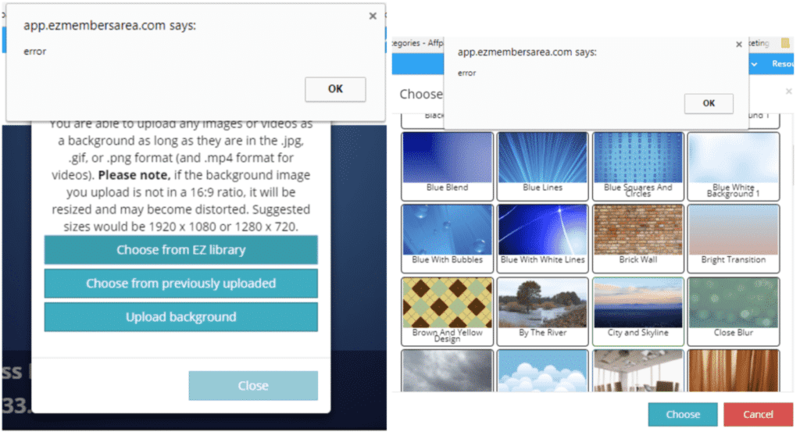 After declining the first one time offer, I was quickly escorted to a down sell offering additional templates to use with the EZ Review Videos core program. Out of all of the one time offers that I saw, this is the only one that I would’ve perhaps considered buying if I was planning on using the program actively. It’s priced at $27, and includes 120 additional video clips, 40 backgrounds, and 40 soundtracks. While yes, I’m not too fond of one time offers, I could see this one being useful depending on how often someone was going to be using the software. 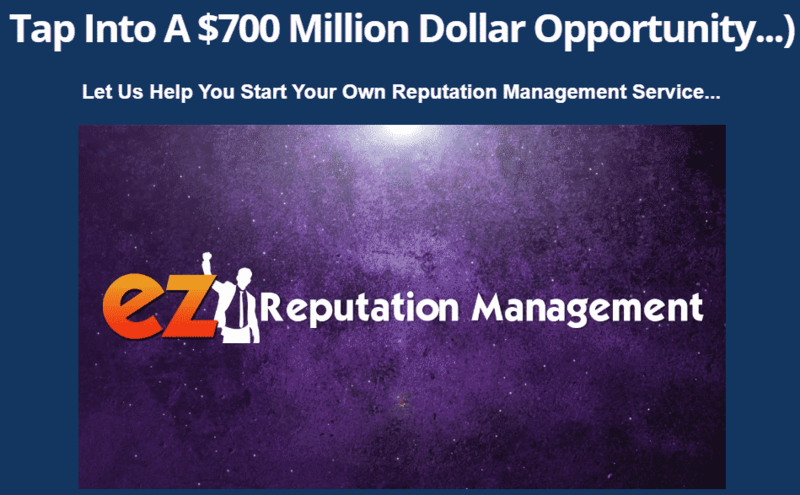 The final one-time offer that I was given was to purchase an additional program called EZ Reputation Management. I couldn’t help but think that this one was very loosely connected to the EZ Review Videos. I can see how creating a reputation management company could be beneficial if you’re trying to market services only to local businesses, but I wasn’t really looking to use EZ Review Videos for local clients in the first place. Note how this actually says “I understand that it’s an offer that I’ll never be able to see again.” So, imagine my surprise when in the introduction video inside of the course I was actually told “not to worry if I didn’t pick up the offers I can always go back and add them at any time.” This is a tactic called “scarcity marketing,” but in this case, there really is no scarcity whatsoever. So all those offers that I saw on the front end that I would supposedly never see again, I would’ve been pretty upset if I had invested in them only to find out I could buy them at any time later on. It struck me as odd that before I even was able to login, I was already enrolled in a webinar. I can’t help but feel more than certain that this is going to be yet another sales pitch for additional products. Considering the fact that there’s a banner at the bottom of every single page inside of the software reminded me to attend this webinar, I’m pretty sure that my auto enrolment into the webinar is going to be in order to attend another sales pitch. The first thing that I wanted to bring up with this product is that the creators are fairly well known online. Matt Bush has created numerous marketing related products and services with many of them related to video marketing, and Todd Gross is a very popular video actor / marketer with a background in meteorology. Now let’s take a look at what this program actually has to offer. Once inside the members area, I found the introduction video that I mentioned above. Basically, it showed me exactly where I need to go in order to find things such as training and video creation tools. It also made certain to mention all the things that I wouldn’t be able to see because I didn’t purchase any of the one-time offers. However, as I did state above, it also said that I could add these one-time offers at any time and unlock them immediately inside of my members area. Once I finished up with the intro video I headed over to the training courses to have a look and see what the product was all about. Inside, I found nine videos outlining how to create these review templates using the program and how to download them when I was finished. Overall, I found the editing of the videos to be quite simple, and there were several interesting video clips that could be used in the creation of videos for online marketing. Basically, this entire program is a collection of stock video clips shot in front of a green screen so that you can replace backdrops easily and add layers on top of them with text call to actions. In all, the video creation process is fairly easy, but the issue that I could see quickly developing is the fact that there are only six actors available. With multiple marketers using the same six actors for endorsement purposes, you can imagine how quickly videos would be popping up online for poorly developed products with the same actors endorsing them, as the product you are trying to promote. When first using these clips, they may be effective for your business or your clients, but ultimately over time as more videos show up online with the same actors – your business may be associated with some known hustlers in the marketing world. Stop and think for just a moment that you are promoting a car dealership for example in your local hometown, and used one of these video clips. While everything may be great initially, if a company elsewhere in the country used the same stock footage and was sued for ripping off their customers, how would it make your company look since you used the same actor. Even worse, imagine how angry would your client would be when they found out that the same person on their video advertisement was the one who was recommending the other car lot in question as well. It could result in some pretty bad publicity for your client, and leave you explaining how that same actor was featured in another advertisement. Also, what kind of word-of-mouth advertising do you think that client would be giving your advertising agency after an event such as this? 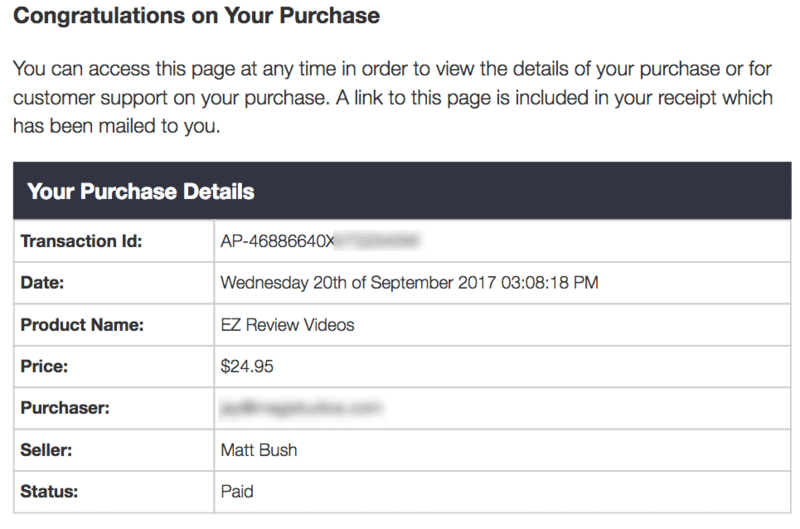 Who Is EZ Review Videos For? Honestly, with the issue mentioned above, I have to say that I would not recommend purchasing this product to anyone who wants to run a long-term business. Yes, it does offer a very simple to use interface with some great functionality when it comes to getting some professional looking intros, testimonials, and other live-action video shots. However, since it is stock footage that anyone can be using for any advertisement that they desire, it’s hard to tell who you may be associated with, or who you may get your clients associated with elsewhere on the Internet. While the creators of this product have no control over this, it is simply something that is far too big of an issue to ignore. At the end of the day, the reputation of your marketing company falls back on you, and if others decide to be unethical online, using a product like this could potentially tarnish your reputation as a quality business offering these types of consulting services. EZ Review Videos has an interface inside of it makes it a snap to be able to add text and other overlays on top of your videos while also replacing the background behind the actor. While this can be done more precisely with software such as Camtasia, I do have to give credit to the fact that EZ Review Videos has made it a snap and kept the entire process online. I expected the acting in the videos to be very dry. I was actually pretty impressed to find that the acting in the video clips provided with EZ Review Videos is pretty good. It’s not going to be winning any Academy Awards, but it’s also better than finding someone on the street with no acting experience. If you have any experience at all digital backdrops, they’re pretty expensive. I was impressed with how many digital backdrops came included with the software for the price that I paid. As I’ve said numerous times the past, I’m not a fan of upsells. A product should be good enough to stand on its own, straight out of the box, without you having to invest hundreds of dollars into additional pieces of the puzzle. Having a one-time offer, that you will supposedly never see again, then suddenly reappear inside of the members area for purchase, is kind of a slap in the face. This eliminates trust and credibility before I even have the opportunity to check out the course. Since the creators hand over control to individual marketers, it’s hard to tell what products and services are going to be “endorsed” by their actors. In my opinion, it’s just too risky when you’re building a business to have this kind of liability. While the software was pretty easy to use, I did run into a few errors when I was trying to actually create videos for testing purposes. As you can see in the images below, I encountered multiple errors while trying to change the backgrounds of the videos before finally getting one to be successful.  While I do have numerous ethical issues with this product, such as having testimonials that aren’t actually relating to an individual business, overall I wanted to keep an open mind when it came to reviewing it. While the program itself does have an ease-of-use feel, especially for beginners, the risk of having your business, or your clients businesses, associated with literally anyone on the Internet is far too big of a risk to take when running a small business, in my opinion. For that reason, I have to personally recommend that you stay away from this product, and instead try to find your own actors to help you promote your online business and any of your clients local businesses. At the end of the day, it’s your reputation on the line and not the product creators. Thank you, Jay, for confirming my suspicions on this program. I almost bit on it the other day, but something in the back of my mind was telling me that you will not be able to edit the scripts. I agree with you that businesses will want their own message on a video, not a generic canned one. I suppose it’s not a bad price for what you get, but sure enough the upsells will come and then you will regret it. Been there, done that. I’m gonna pass on this one. Thanks for this review. I agree with you that you are getting exactly what you are paying for. $27.95 for videos. It was an interesting post and I thank you for it as well. I’ve definitely learned something new today. Everyone is on YouTube as well as all the other social media sites and videos seem to be the way forward with marketing. I have a video camera but not a great one and want somewhere to go to make videos that sell and look good.Thanks for the review but this is obviously not the product for me. Can you suggest anything else that may be better? I had heard about this program in the past and I doubted it was a scam. After reading your review it seems much clearer now. However, I never used it. Videos are very important in promoting and they make the information easier to grasp for customers. What I don’t like about this program however are the upsells which is something which every program should make clear since the beginning. .
Hi Jay I enjoyed reading your review. Like you I really dislike being unsold time after time, right after I bought a product. 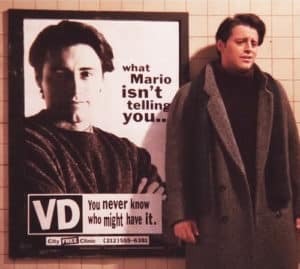 Also I agree that most people probably are to thrilled about the idea of pre done commercials, as I’m sure they have their unique way on how they want to market themselves. With that being said, do you have a favorite video editing software you do use? 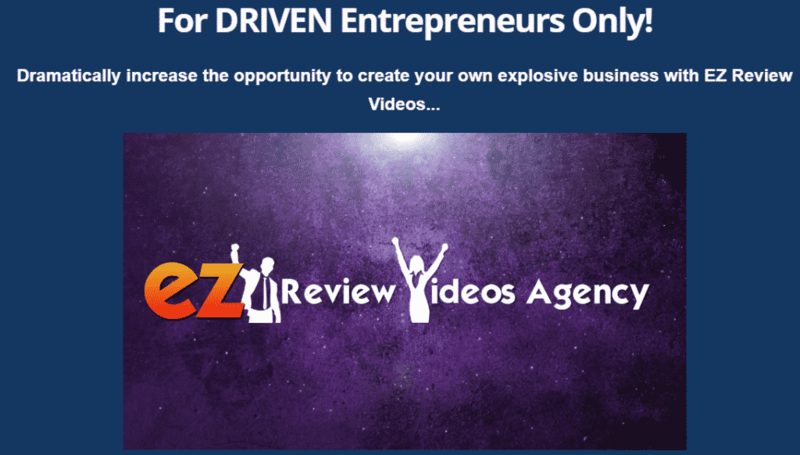 Hi Jay, thanks for your review, I am new to video marketing but came across your article as someone had pointed my in to trying that avenue of marketing. With all your info it is one crossed off the list. Would you have a recommendation for me to check out for when I’m ready? Well I was so close to buying this program until I reviewed it and found your website. Thank goodness I read your review. Too many upsells for my liking. It does seem to good to be true. I’m sure it works for some people but I think I’ll pass. Thanks so much for telling us the truth, it was worth the read. Thank you so much for steering me away from this product. I’m someone who likes to do videos on occasion, but I hate upsells. It sounds like these upsells would be very frustrating. I’m pretty wise to the one time offers that aren’t really one time offers, but I find them terribly annoying. Thanks for an honest overview of the product! I dislike one-time offers, the front end of certain programs or training seems great at first glance but once you get the first one it seems the first one won’t ever work unless you get the second and third one-time offer. I have bought into these type of programs myself and I was actually thinking about trying one of these sites for youtube reviews but I think it’s better to just have your own content in the long run to build a foundation of trust to whoever is viewing the video or whatever it is you are trying to get out there. Wow, I was just about to be sucked into this trap/scam whatever you want to call it. So glad I decided to check the reviews for this program before I signed up. I’m in need of some income. I wish to make it on the internet. Do you have any suggestions to help me get closer to quitting my day job? Hi, Jay! The sad fact is that there still remains so many bogus/scam opportunities having anything to do with running an online business present on the Internet. This EZ Review videos package is one of them. The problem is that so many people seek to make money online in a business. Along with the fact that, so many people, (not members of WA) are just completely naive and a bit uneducated regarding the facts on how to efficiently go about creating financial success for themselves. Bogus companies take advantage of these individuals who usually are clueless when separating a con from an opportunity that is legit. These people fail to do any research, as was the case with me a decade ago, (before I got involved with WA) often “going all in” compared to what should have been a much better alternative – just walk away from the opportunity. A red flag regarding EZ Review Videos is the fact that this company repeatedly asks a customer to fork over more money towards product upsells. One-time only offers psychologically prey on the minds of innocent customers with the seduction that if they don’t purchase the product at that time, well, it would be their loss. So many people still fall for that nonsense. I see very little value, based on what you presented in the article, to a person looking to take his/her online business to the next level through using this company’s products. Scarcity marketing, I’ve seen this so many times when I followed a course on setting up an online store. Everything is all about upsells, downsells and all sorts of other incentives to make you spend more. Whatever happened to helping your audience first before targeting extra products to them. As for using the same actors for all your videos, that’s fine if it’s for your own website. Surely they can’t expect the same actors and clips appearing on websites everywhere. Is there a duplicate content issue also? 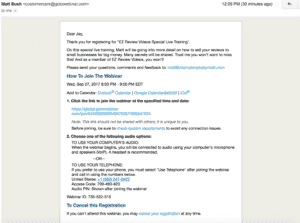 I have received similar email offer about video review and have put it on a check it later folder as I am also interested to learn about video marketing. Your review will sure save me from the hassle of the many upsell and OTOs which is not OTOs. Like you said in the beginning, the trend of Upsell and OTOs has become a trend and many unsuspected individuals had fallen into this trap and buying one after another product which they might not need or use. HI jay thanks for the review. I have brought numerous products that come across as spammy. i have learned from these sorts of offers and stay well away. I would say video marketing is the future but it is more advantageous if you make them yourself, that way you come across as genuine. 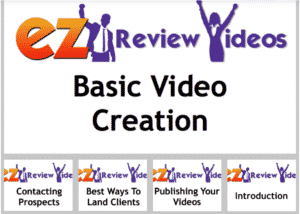 Many thanks for this honest and thorough review of EZ Videos. How many times have we seen this before….a fantastic bargain for next to nothing, when suddenly as you go through the signing-up process, we are bombarded with so many upsells. I have often wondered if their marketing is mis-selling and if it is, there is no where we can turn to, to make a complaint. It seems that they can do this type of promoting today and completely get away with it. I have also seen down selling in action, ie, a product is a certain price and just as we are about to exit their site….up pops a drop down window offering a reduction. Had we signed up there and then, we would have paid top dollar, not realising there was a discount hidden underneath. Thanks for giving us the heads-up on this dodgy business. Although, I had not previously heard of this product in particular, I have been looking for options for adding videos to my own website. I think I’m looking for more of a simple “explainer” type video process. The upsells in this program would annoy me and the last link to take you out of the OTOs was on the verge of an insult. I’ll probably stick with writing my own explainer video scripts and keep life simple.